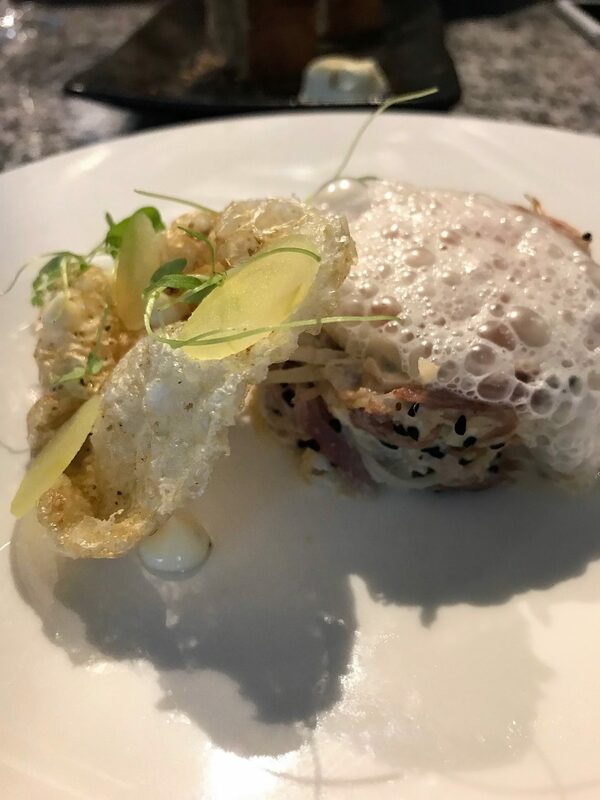 This time around, I was returning to Grafene to check out their 3 course menu, which has recently had some new additions added by chef Ben Mounsey, capturing his best of British Summer flavours. 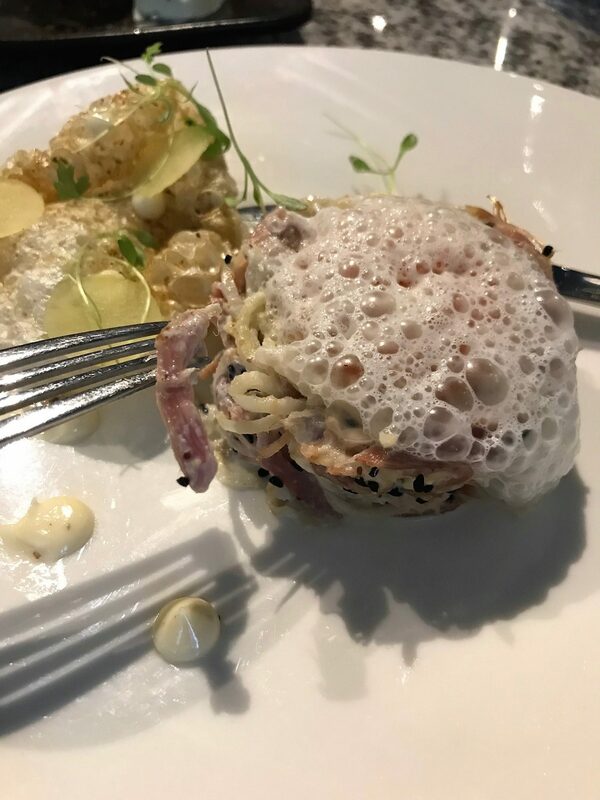 The menu keeps with his acclaimed style for modern, reconstructed classics, along with dishes brimming with twists to the usual flavours. 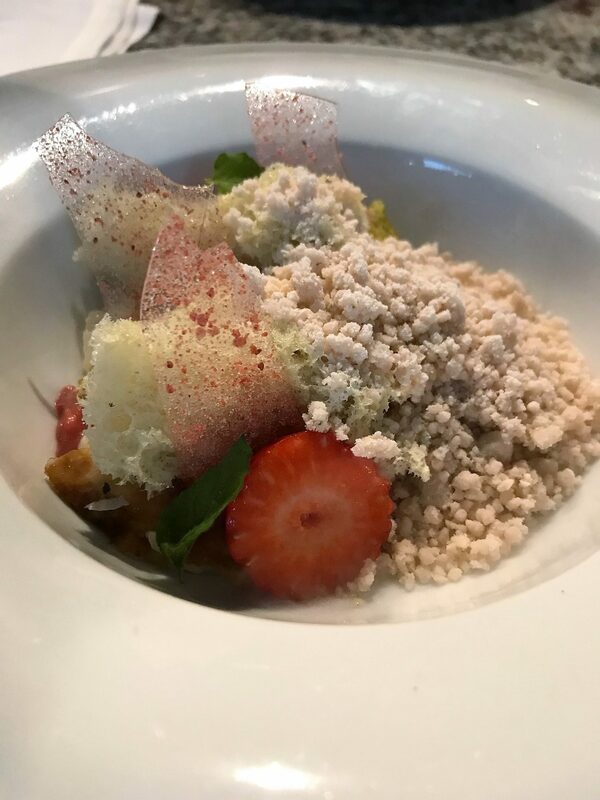 What I was excited to see was the dishes being presented with his trade mark of high creativity and complexity, yet also with careful simplicity. 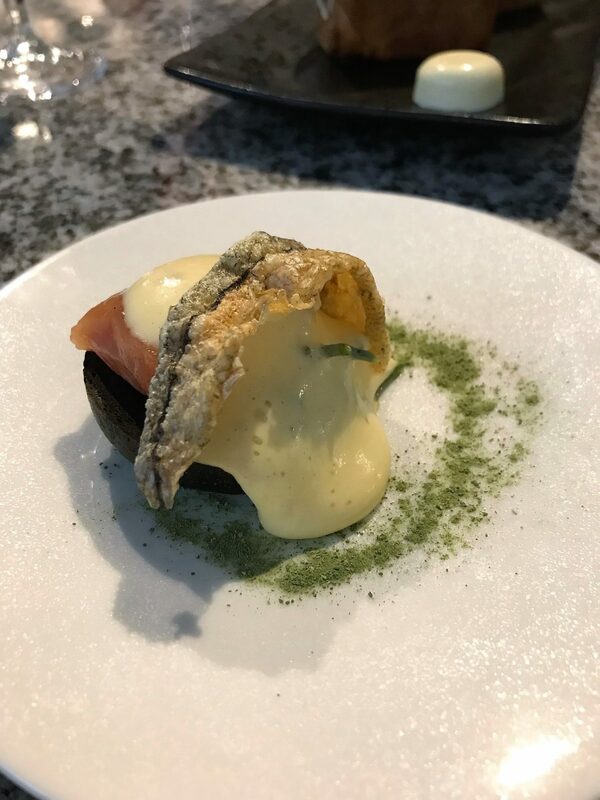 I feel it adds to the whole dining out experience when your plates are situated in front of you, boasting an impressive presentation. 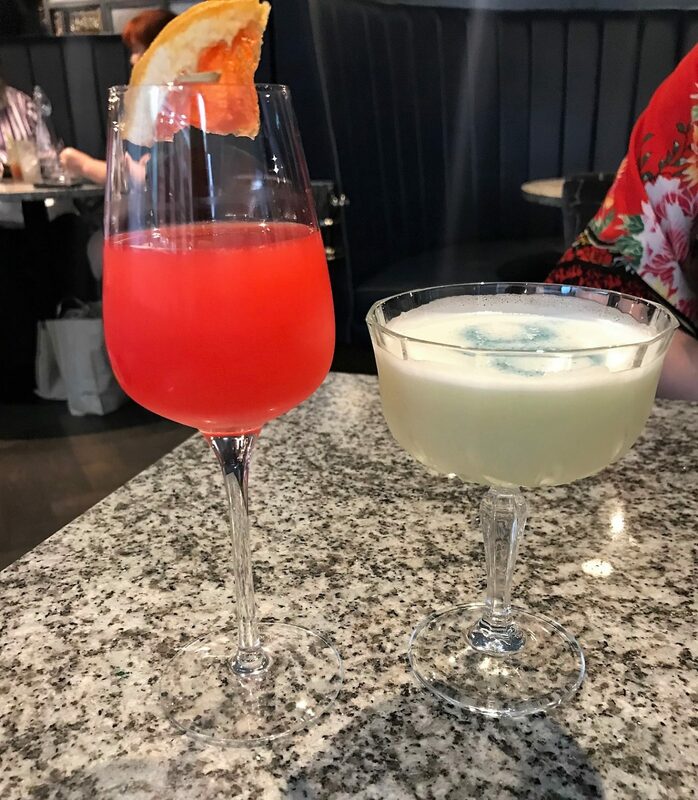 Myself and my guest settled at a window seat, and browsed the cocktail menu first. Lets always begin with the most important task, right? They have a list of classic cocktails, but in all honesty, their other cocktail lists which were named ‘From The Bar‘, ‘From The Kitchen’ and ‘From The Patissierie’ were really intriguing. Take for example the MINT BUTTERMILK MARTINI from the ‘Patisserie’ section. Oh my gosh, it sounds just like a dessert! 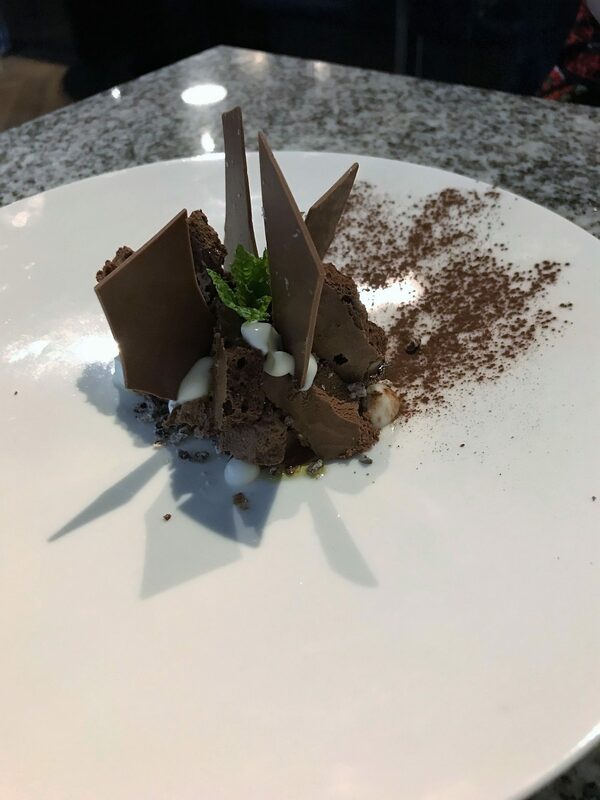 Mount Gay Black Barrel Rum, White Chocolate Liqueur, Minted Buttermilk and Vanilla edged with Grafene’s crumbled Brownie. Gimme. Or the THE MANCUNIAN– a ‘Forever Strong’ mix of Woodford Reserve Bourbon, Chocolate Liqueur, Cinnamon, Spice & Walnut Bitters. I opted for one from ‘The Bar’ list, called THE LICENSE. 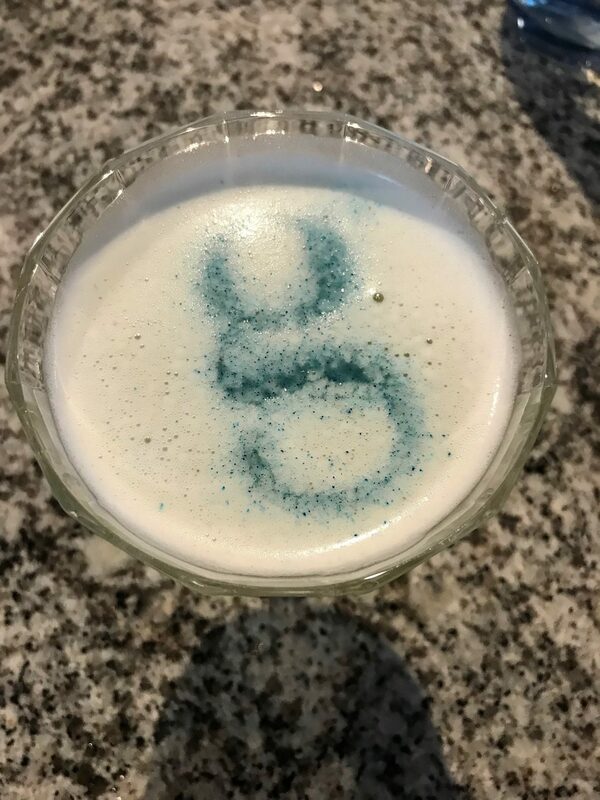 It came in a slim martini glass filled with Fifty Pounds Gin, Lavender, Mint, Lime & Egg White, powdered with a Lavender Dusting in their signature ‘G’ logo. 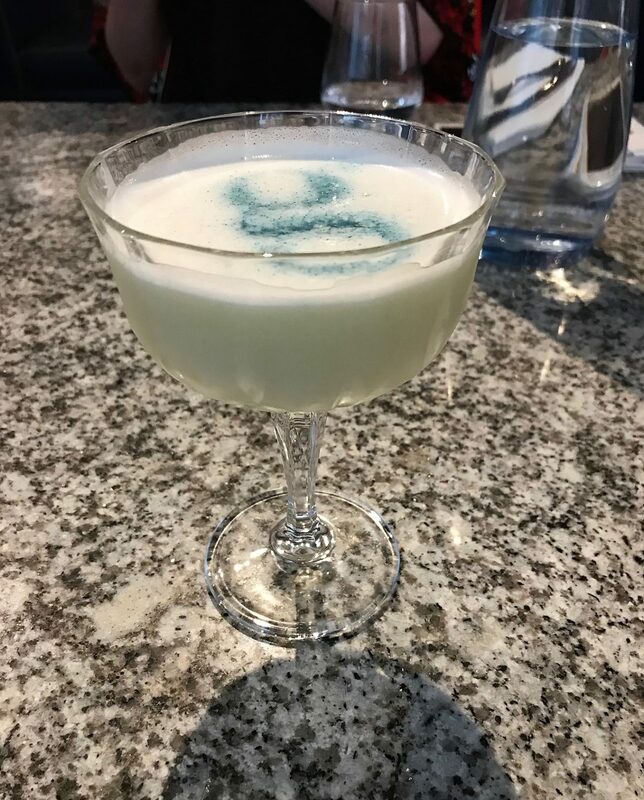 The gin and lime gave it a bitter kick, with the mint adding freshness, and the egg white that creamy froth I love so much on my cocktails! My guest opted for THE SPRITZ – a much classier, unique take on an Aperol Spritz (I say this as it was similar in colour), with Pommery Champagne, Tanqueray Gin, Orange Liqueur, Blood Orange & Lemon, served with a Grapefruit Crisp. 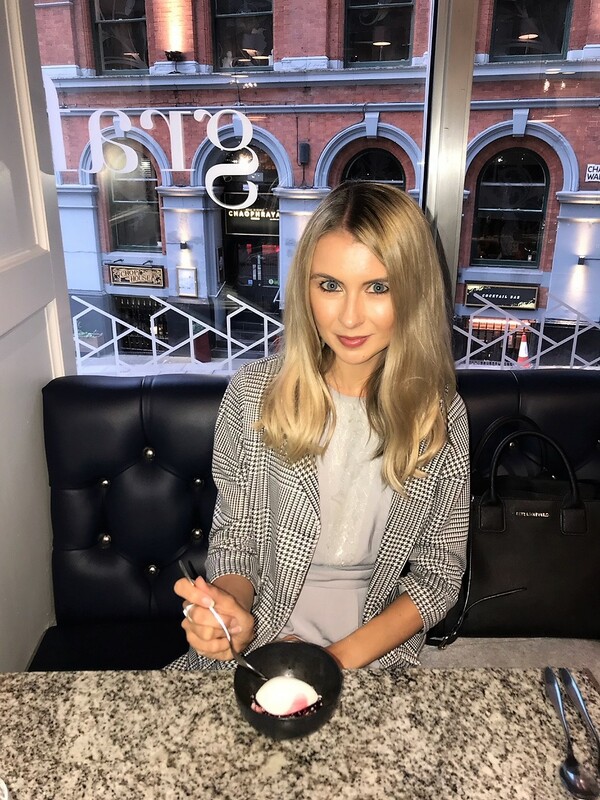 Browsing the 3 course menu was fairly easy – there were a number of options that impressed me straight away. I always whittle down to three of each: 3 shortlisted starters and 3 shortlisted mains, before picking last minute which one I’d like. 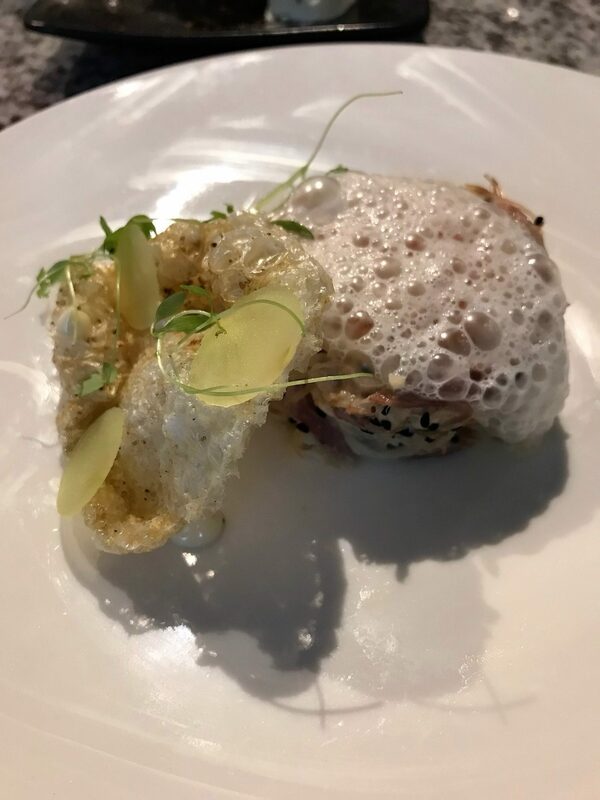 One of the new starter dishes appearing on the menu is the one I went for to begin: ham hock, celeriac, cured egg and tarragon. 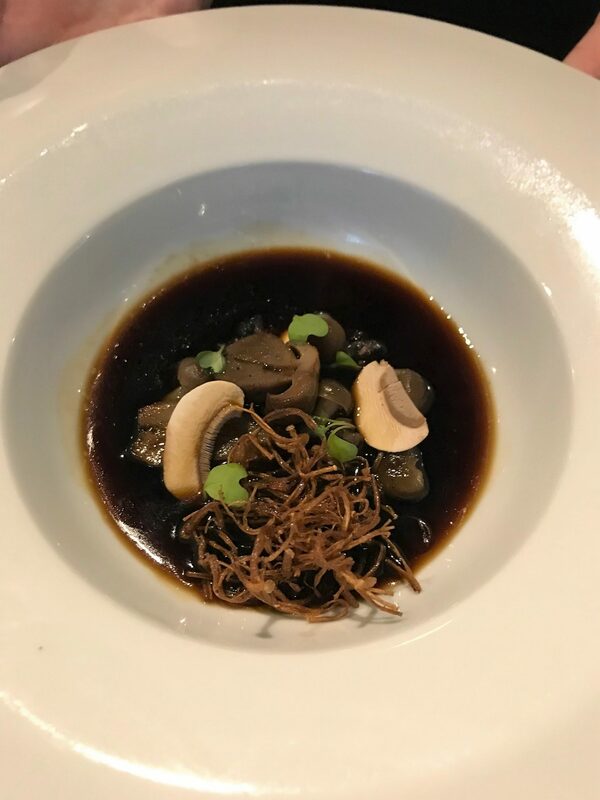 My friend went for the Cep dish (mushroom based) with consomme, truffle and shimeji. 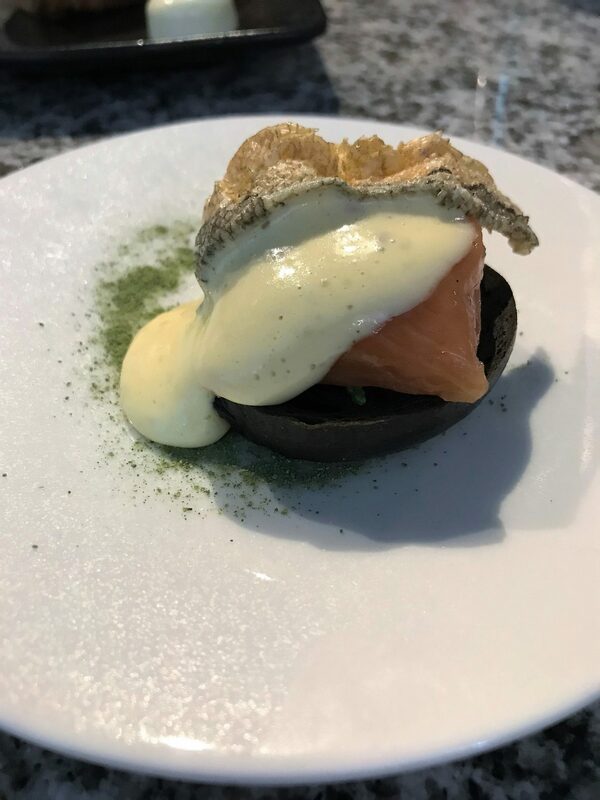 We also received another ‘surprise’ which came before our starters: a mini bagel with smoked salon, crisp and dressing. 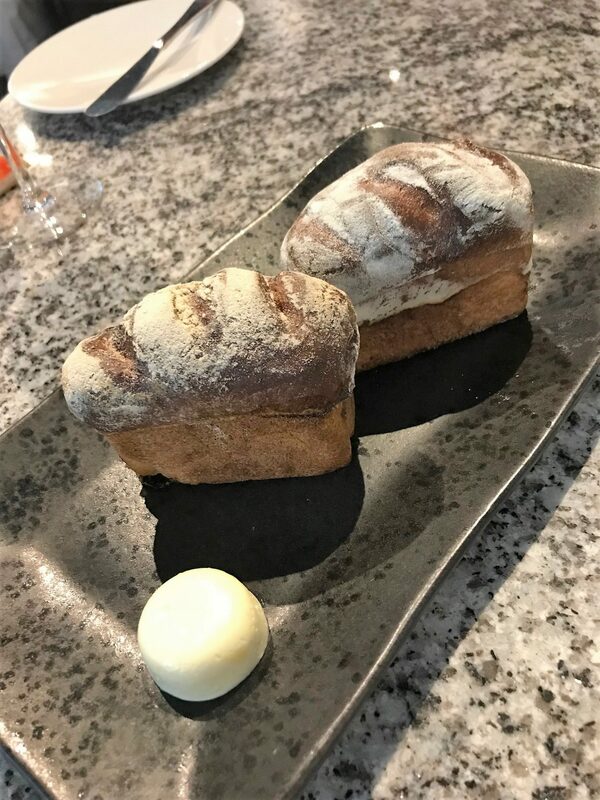 I’ve actually never dined anywhere before that brings you little surprise nibbles before your chosen courses, and what a delightful touch it is. 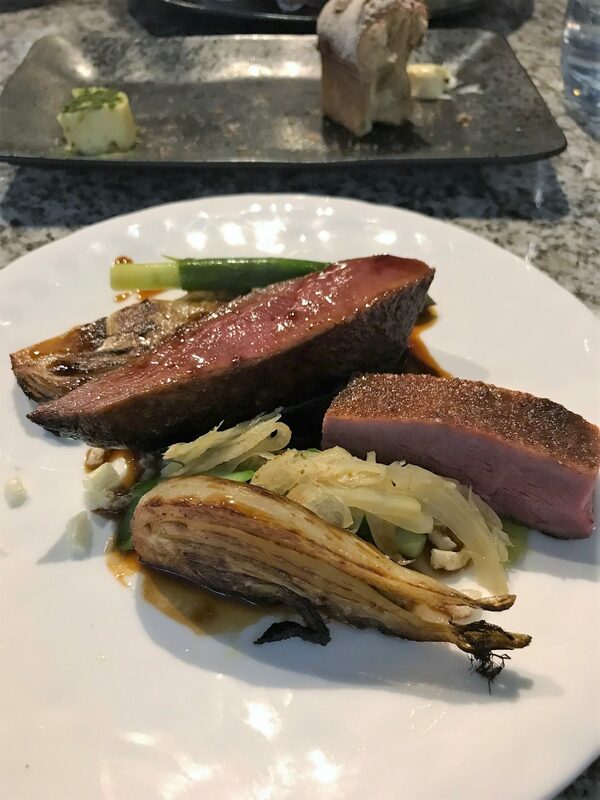 The main course highlights include: duck, fennel, asparagus black garlic; a stone bass, smoked eel, onion, apple, potato, and veal loin, olive, kohlrabi and short rib, and a good old corn fed chicken with cauliflower and charred gem. 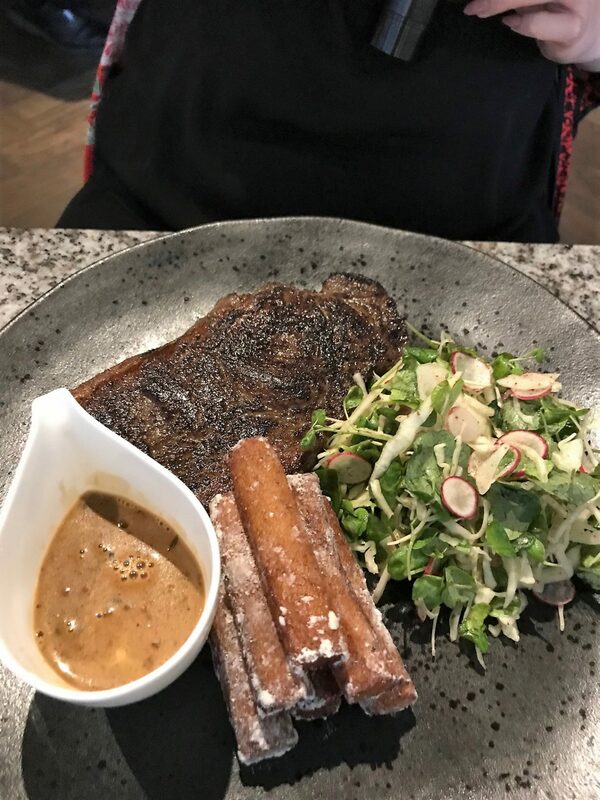 They also have a Grill listing too, for all the steak lovers. 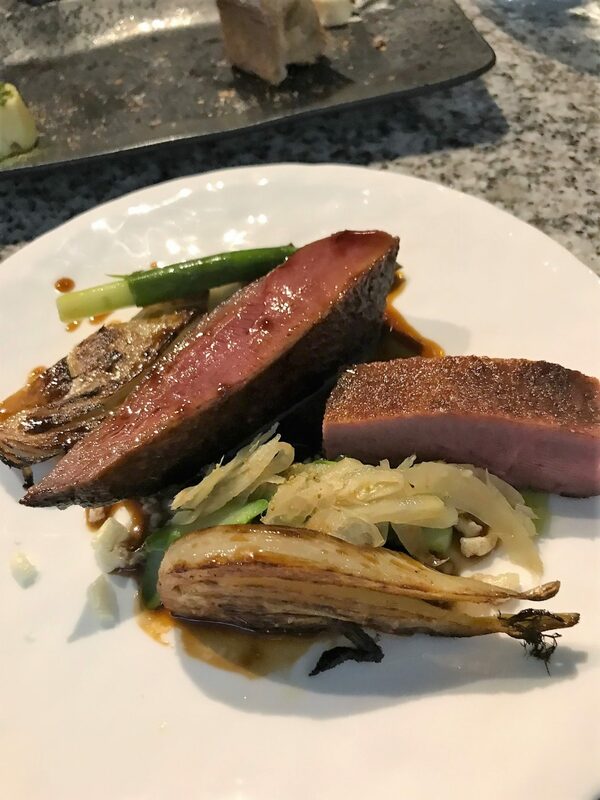 I’m not usually a red meat person, more so it’s not something I buy in often and cook at home, so I decided to give this a whirl here and opted for the duck dish. It was full of flavour. and a generous portion size. Two large slices sat in a light jus with the vegetables and oh my word – it tasted incredible. 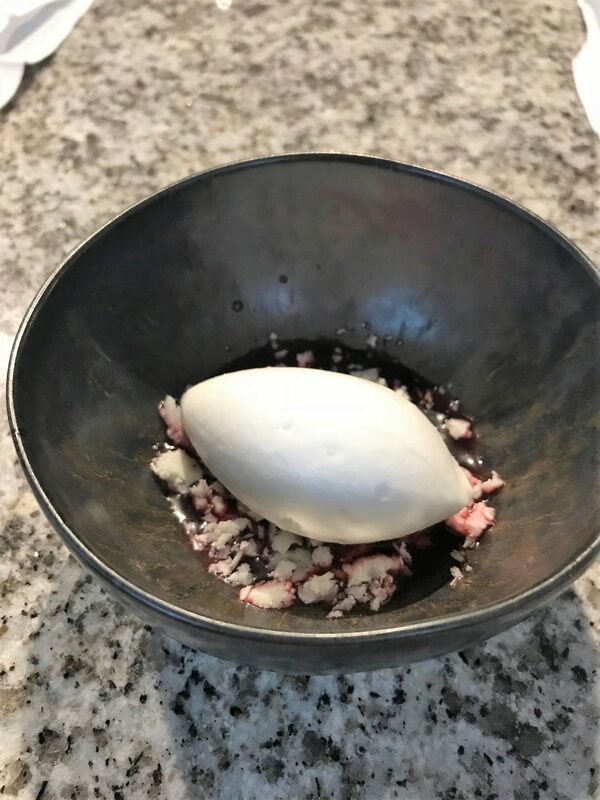 The texture was so soft it was almost melt in your mouth material! My friend opted for the steak, and lets just have a gander at how big this thing was below…. 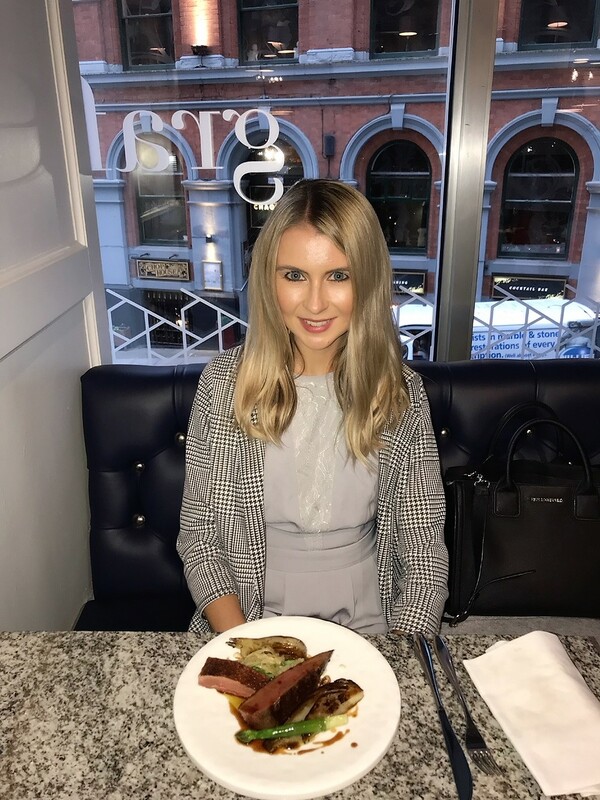 make sure you’re hungry if you opt for the meaty options! 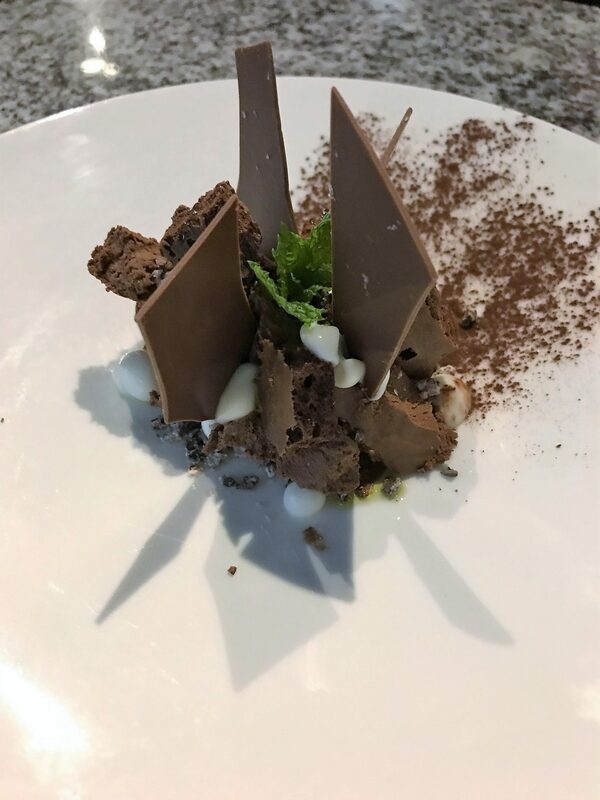 There were two ladies sat next to us dining from the same menu, and we heard them go a little crazy about the desserts, gushing over how delicious they were. So that was it – I was psyched. 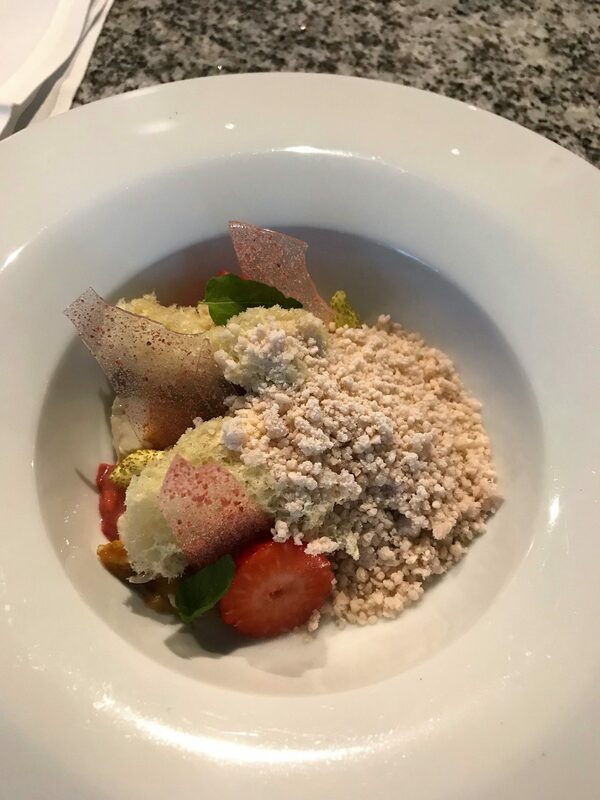 I almost asked them for a recommendation, but decided to ask the waiter instead, who picked out the summer strawberry, sponge, custard and verbena choice, whilst my friend went for the mint chocolate brownie. It was a close call – the Eccles Cake was shouting me. 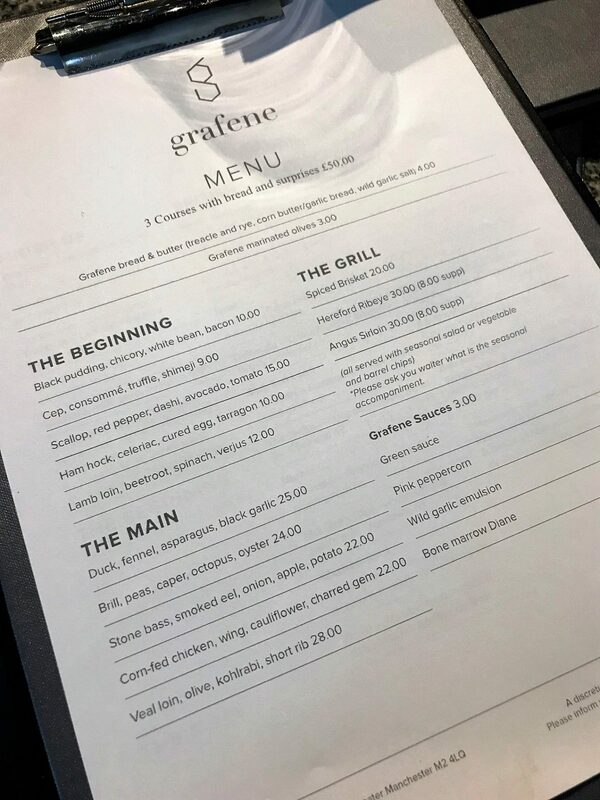 The dinner menu is now being served at Grafene from 6.30pm, and includes three courses with bread and surprises priced at £50.00. 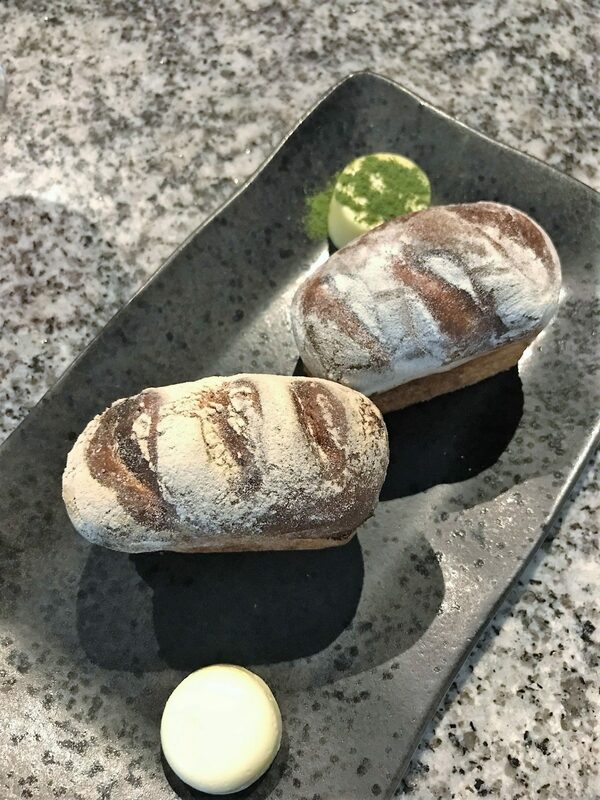 Some dishes are also available as individually priced. 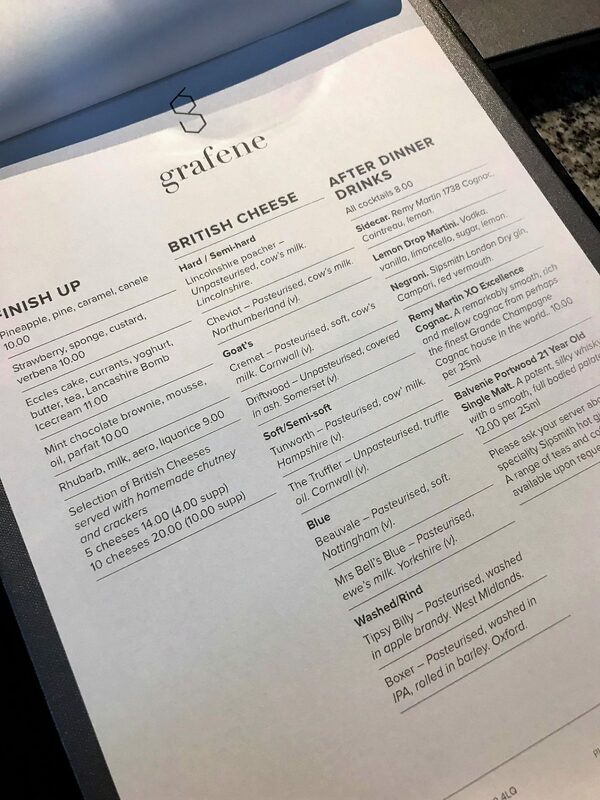 Again, an amazing experience at Grafene and I’m sure I’ll continue to rave about this place. It’s modern and premium inside, without being too pretentious. You just get excellent staff and waiting service, quality food and drink, and plenty of choices.